A Holster suitable for Nerf Hammershot ,Sweet Revenge and Co. Your Backup Blaster is small, but still doesn't fit in the bag? We now have the solution. In the Blasterpart SX Multiholster Blaster in the size of Nerf Zombie Strike Hammershot, Nerf Rebelle Sweet Revenge or Nerf Doomlands Persuader find a suitable home. 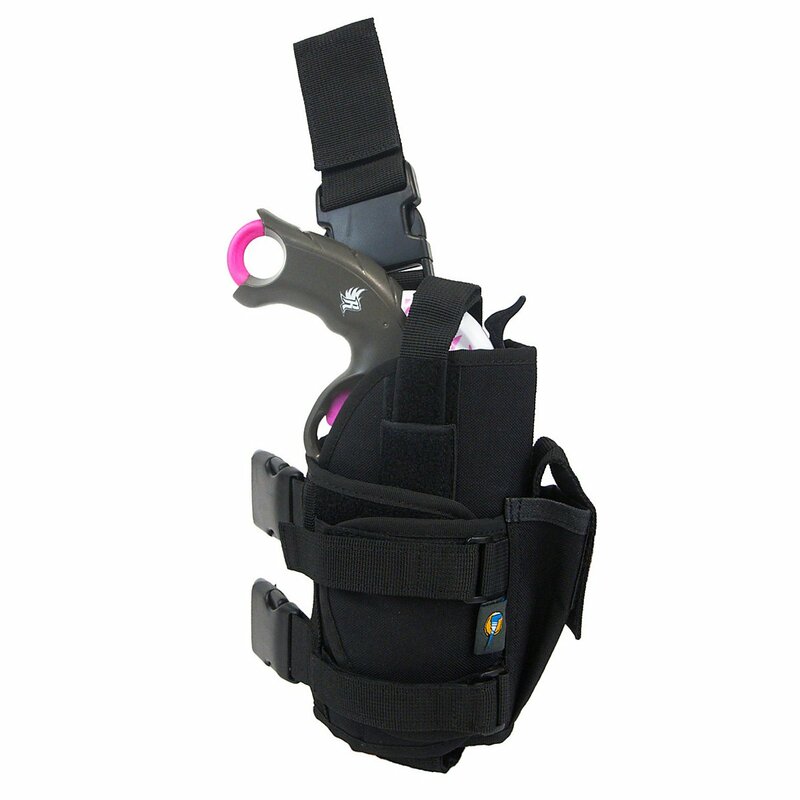 Like the larger MX Multiholster, the Multiholster SX is also adjustable in size with Velcro fasteners. However, it was specially developed for the smaller blaster, which got somewhat lost into the MX Multiholster. Good hold and firm fit also for Persuader, Dauntless and 4 Victory. A proven system of Velcro fasteners and straps ensures that the Blasterparts Multiholster SX is suitable for a wide range of small ones, e.g. Nerf Rebelle 4 Visctory up to medium-sized blowers, e.g. Nerf Zombie Strike Hammershot. The leg straps as well as the belt holder can of course also be adjusted and adapted. In addition, the straps are each provided with a quick fastener. So the holster can easily be removed from the belt holder. 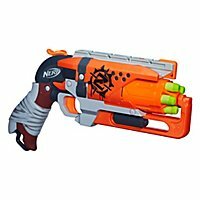 Really small blaster like Nerf Zombie Strike Double Strike and Nerf N-Strike Elite Firestrike are not held properly by the holster and "sink" into it. The holster is not suitable for blaster of this size. Since the holster can be perfectly adjusted and is made of reinforced fabric, the blaster slides smoothly out of the holster as soon as the strap is loosened. This can either be secured with a snap fastener for maximum safety or with a Velcro fastener for maximum speed. We offer the holster in three different colours to make sure you always look good. 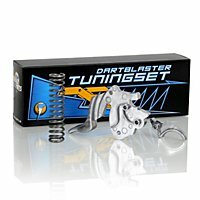 Here is a list of the blaster that are proven to fit well into the Multiholster SX blasterpart. This list may be incomplete, but it will certainly give you a good idea of what size blaster must be to fit well in the SX holster.